Life and Beyond: The Narasimha avatar---and the ancient Narasimha temple in joshimath. 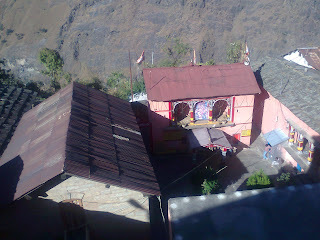 The Narasimha avatar---and the ancient Narasimha temple in joshimath. 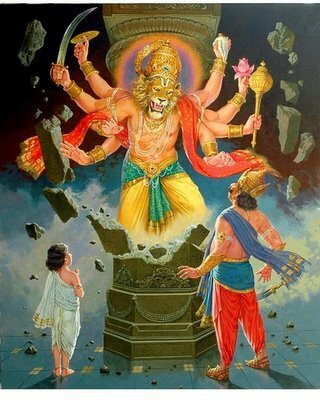 My favourite avatar is the Narasimha avatar. A beautiful story integrated with moral teachings. The child Prahlada; though the son of the evil Hiranyakasipu stayed with the sage Narada for a short time hence gained divine attributes. The teaching here is that the company of the good is always benefiting. He was always guided and protected. Hiranyakasipu was happy; thinking that he had won over death. 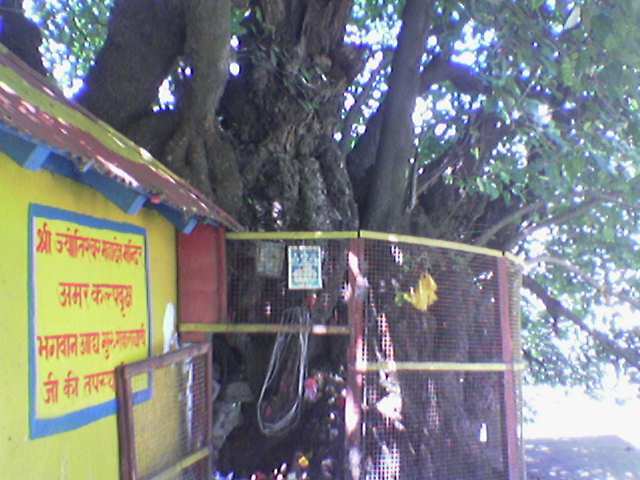 when Prahlada proclaimed that the protector lord Vishnu is all-pervading and omnipresent. Hiranyakasipu was very angry, and stooped down to negative behaviour. 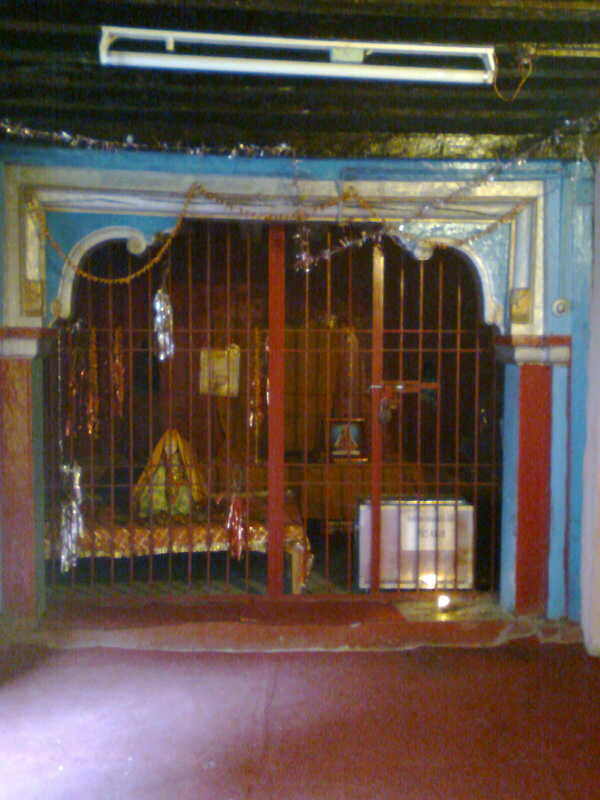 He demanded to know where this protector is and in a fit of rage smashed a pillar and asks Prahlada is he inside this pillar; and he himself invited his own destruction. Moral of this is; full of ego and with bad behavior one himself invites his fall. And from the pillar emerged the Narasimha avatar---half man—half lion. 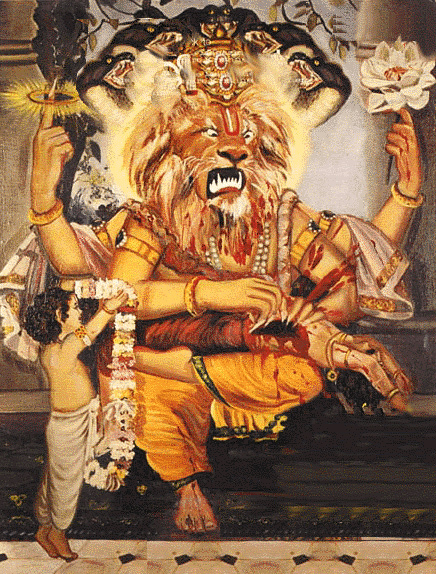 And Narasimha picked Hiranyakasipu and took him on his lap---now Hiranyakasipu was neither on the ground or sky. Then Narasimha put an end to his life using his claws---neither weapon nor hands. 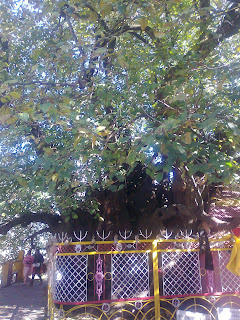 Prahlada and the Gods watch this with hands folded and then offered flowers to the avatar that had fulfilled the eternal teaching ---when evil flourishes in society; someone is created to re-establish righteous order. Now I will write about one of my favorite places. Here a famous feature of the ancient black stone idol of Narasimha is that its left wrist is getting thinner by the day. 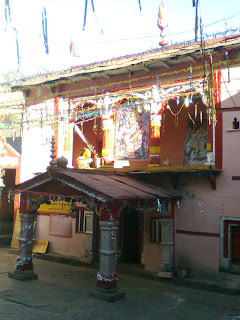 Legend has it that when the wrist breaks off, there the current Badri vishal temple at Badrinath will become inaccessible and new temple will be bhavishya badri. 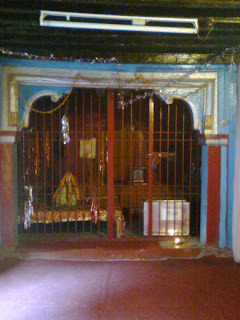 There is the badri kedar temple committee rest house adjoining this temple, in the silence of late evening I sit alone in the temple compound and experience peace---vibrations which cannot be expressed. There is also a seat believed to be that of the Adi Shankaracharya kept in the same premises. 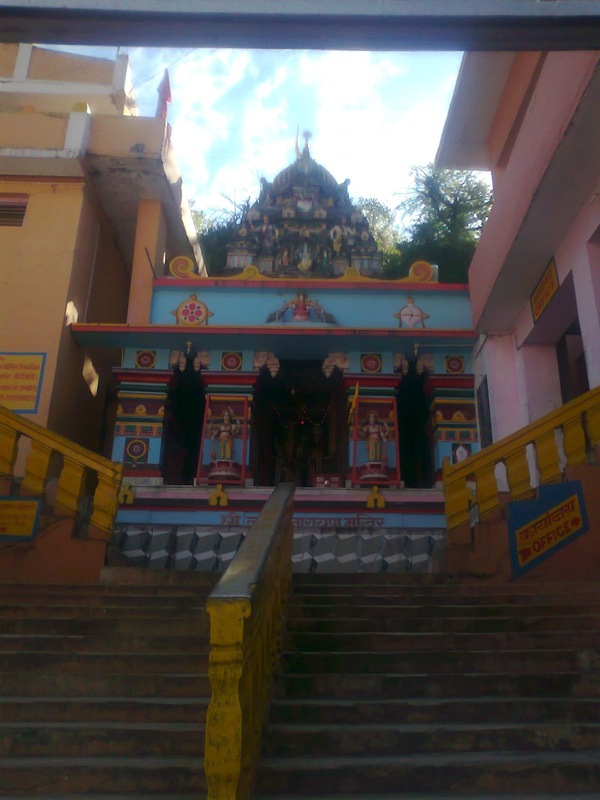 There are many small temples in the surrounding area most of them with ancient idols. A short distance from here is the math established by Adi Shankaracharya; and the cave where he meditated. 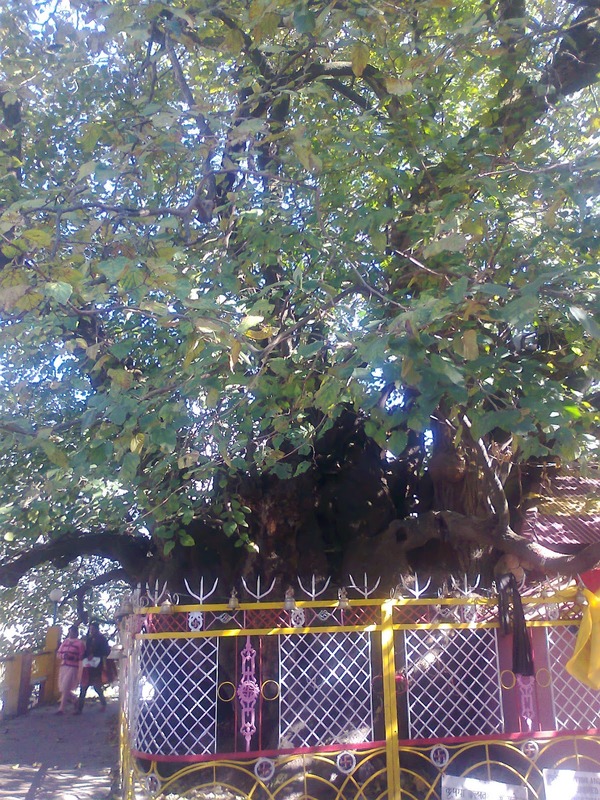 Giving shelter to the cave is the 2500 year old “Amar Kalpavriksha” ---the evergreen mulberry tree which stands witness to the life of the great soul. What is due to the soul; the soul gets. 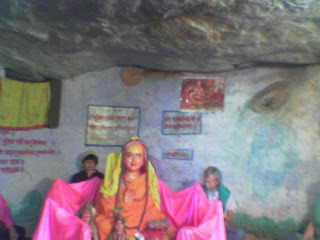 Maya---why is it an illusion?